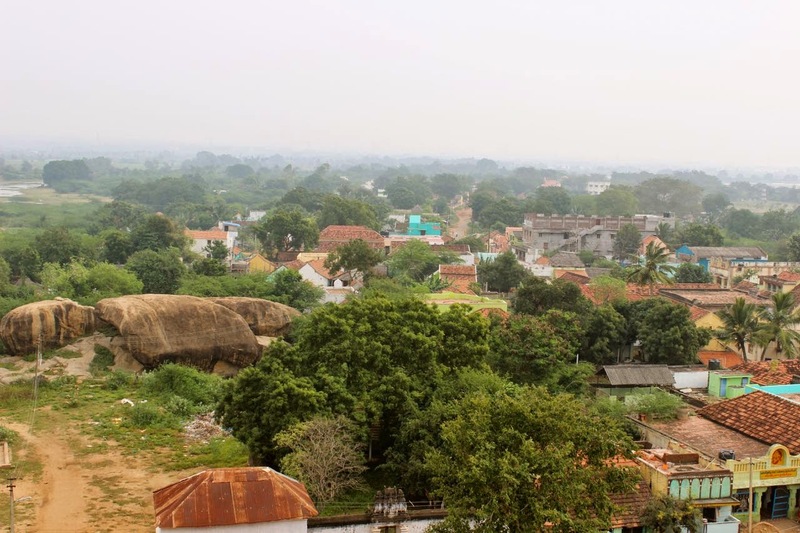 The day we landed in Karaikudi, we made a list of places we wanted to see in and around here. 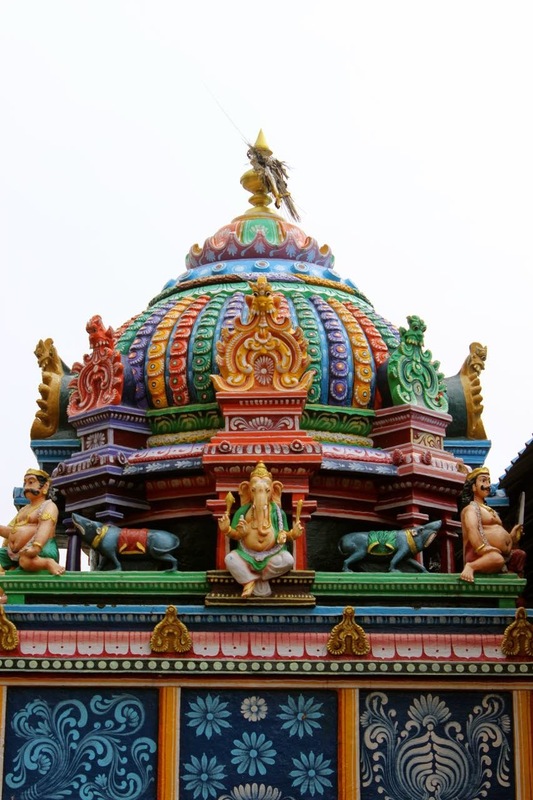 Among the places were two temples, one being Pillayarpatti Pillayar temple and the other was the Murugan temple. We hailed a cab and the cabbie told us we can do both in half a day and figure out plan for the rest of the day as we go along. 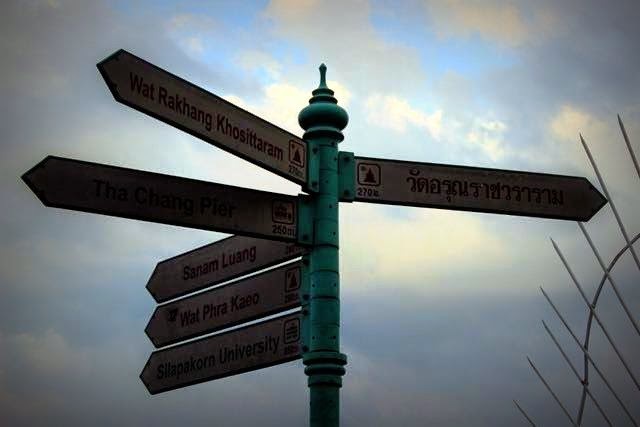 We agreed, and proceeded towards the Pillayar temple. Once done there, we headed towards Kundrakudi. Along the way, again, the driver and my friend went on about the movies this temple was featured in, including one that I knew of- Emdan magan starring Bharat, Nasser, Saranya and vadivel where in one scene Saranya pretends to do angapradharshanam around this temple to cover up a lie she told her husband Nasser who lands at the temple to check on her.. quite a hilarious scene that is. We climbed up, pausing here and there to click pictures. The view of the town below was beautiful- there was plenty of greenery all around. The day was busy, there was quite a crowd making their way up the steps with us. 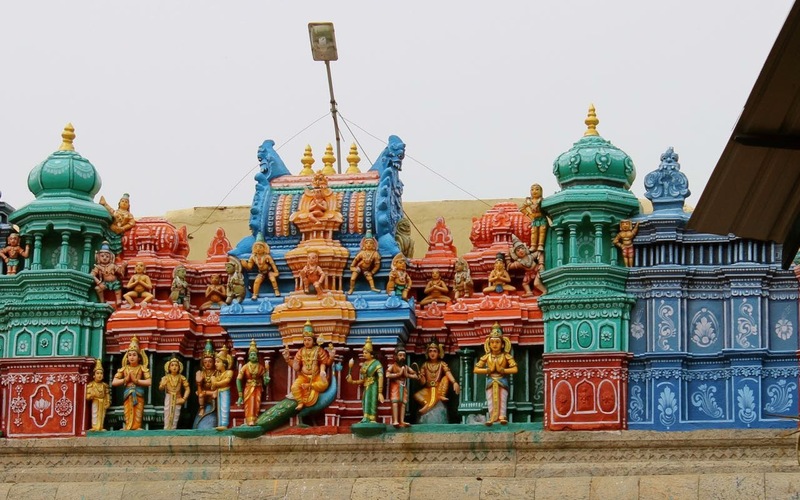 The temple houses Lord Murugan Temple with his wives Lord Valli and Deivanai. 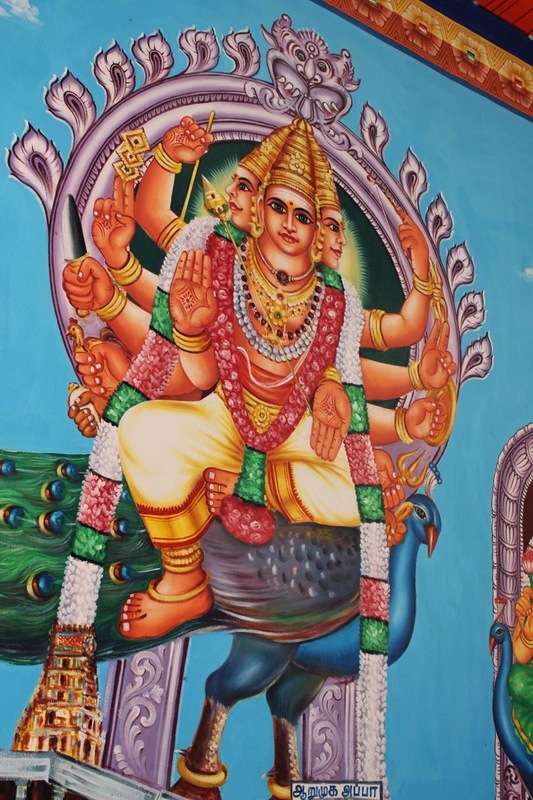 The Murugan statue is set up with six faces and hence here Lord Murugan is called as "Lord Shanmuga", the meaning is Lord Murugan with six faces. 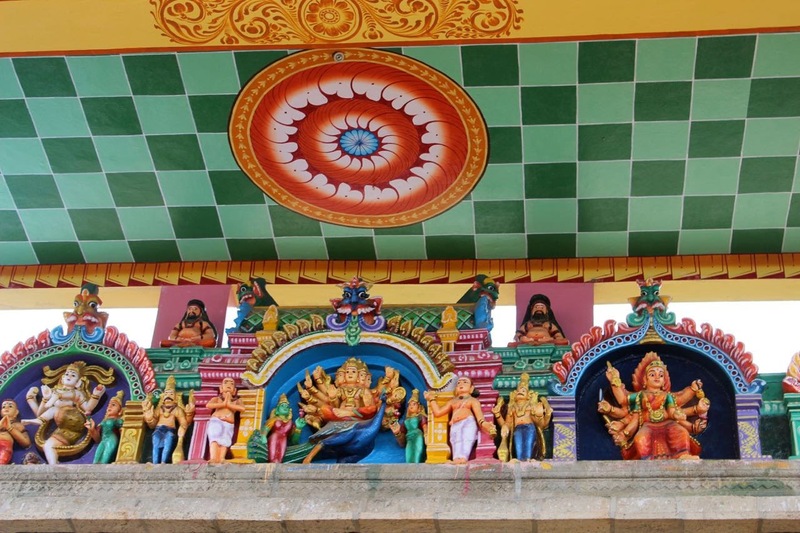 Another thing we noticed here was that the Navagrahas were placed differently. usually they face the direction they are meant for, but here they were all facing the Main statue of Lord Muruga. We spent a few minutes enjoying the cool breeze and lovely view before making our way down. 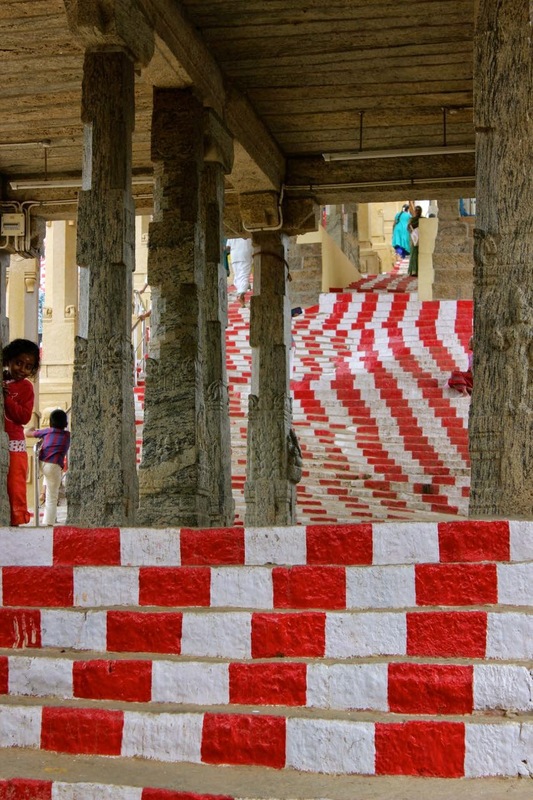 Also housed near the bottom of the hill, on the right side was another temple, where Lord Muruga is called Lord Palani Murugan. 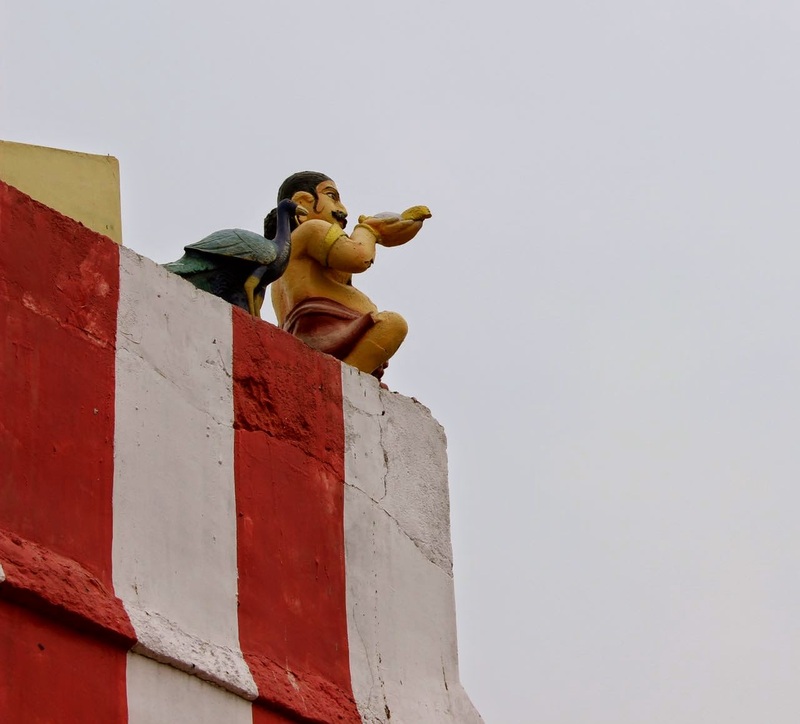 In this Palani Murugan temple the main statue is not fixed on floor, but is set on a table of sorts. Apparently, this Idol is taken to Palani every year during the Thaipoosam festival. 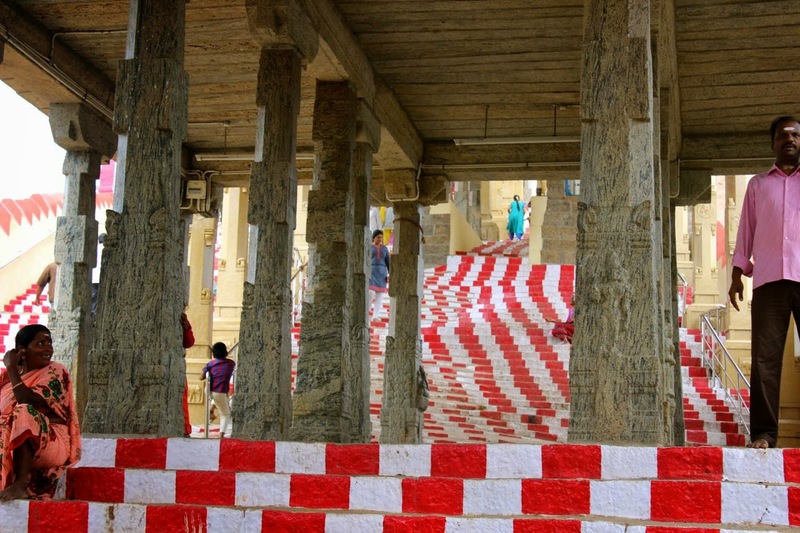 Some of the work on the pillars and atop the temple was beautiful and so colourful as well. As we bid adieu to God and made our way towards another new place, we could feel the sun blaze on our back..